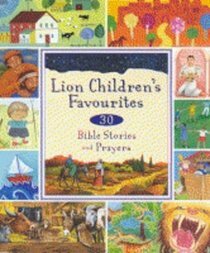 Lion has been publishing Bible stories and prayers for over a generation, and on the occasion of its 13th birthday brings you this collection of favourites, old and new. Rebecca Winter has spent all of her working life with books, most recently as a freelance writer and editor. Mother to two school-age children and actively involved with her local church, she still finds time to enjoy her overgrown garden. She lives in Newbury, Berkshire, England.